Patched jeans are a big trend for Fall. 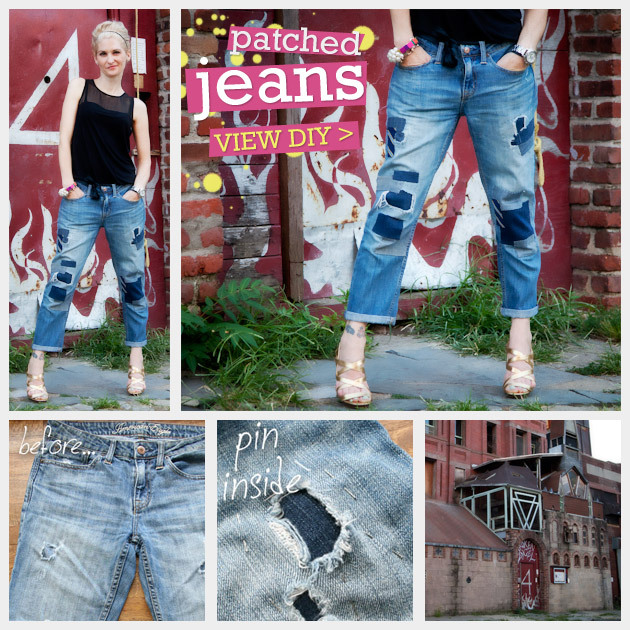 This borrowed from the boys style can be seen everywhere these days and this DIY Patched Jeans project will show you how to easily transform your old ripped jeans into cute and fashionable patched jeans. a simple top and lots of big jewelry.